Capturing or scanning of Prescription work orders is an everyday requirement for many in various medical professions. Cerum Dental, part of the Aurum Group, of is a 40 year provider of state of the art cosmetic and restorative dentistry. With an influx of prescription work orders for it's 27 branch operations, the company was in need of streamlining the work order process. Using Fujitsu ScanSnap S1500 scanners, incoming work orders are scanned to a single PDF file and stored in a watched folder. These PDF files are picked up by ImageRamp Batch as a single file, each page is analyzed and barcodes representing the prescription Case ID are identified and extracted. 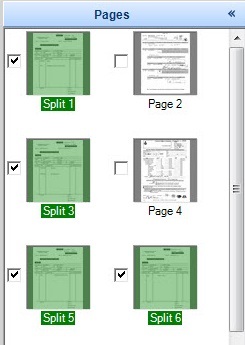 As Case IDs are found, new PDF documents are created and stored in a network file. The resulting named prescriptions are picked up by the company's central lab software, called LabTrac, which monitors the incoming network folders. These are then attached to the appropriate Case ID for retrieval by any department within the company.